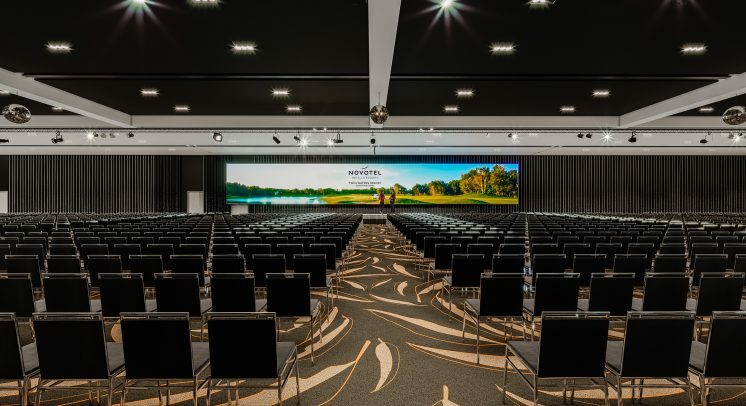 2,000-delegate capacity addition to Novotel Twin Waters Resort. The new owners of the Novotel Twin Waters Resort on the Sunshine Coast have today confirmed the development of a new $8 million purpose-built convention centre. Shakespeare Property Group says the new facility will open in April 2019, with capacity for up to 2,000 delegates theatre-style or 1,000 banquet-style, and four different meeting and event spaces. AccorHotels has also been confirmed as the preferred operator for the new centre. Shakespeare Property Group CEO Yak Yong Quek will shortly turn the first sod on the project alongside Sunshine Coast Mayor Mark Jamieson and Visit Sunshine Coast CEO Simon Latchford. “We are very pleased to form a strategic alliance with our partners in Queensland to deliver the Sunshine Coast this much needed facility to capitalise on fresh opportunities in the business and events space,” he said. More information in next week’s Business Events News.